For Sunday Night Football in week 12, we have our Kansas City plays Denver NFL free pick. 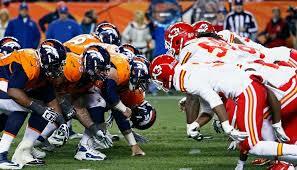 The Kansas City Chiefs (7-3) and Denver Broncos (7-3) are in a virtual tie for second in the AFC West. Whoever wins this game will either take over second alone or, depending on what occurs earlier in the Carolina and Oakland game, be in a tie for first in the division. The spread on this game has the Broncos at -3.5. Over their last five games, the Kansas City Chiefs are 4-1. 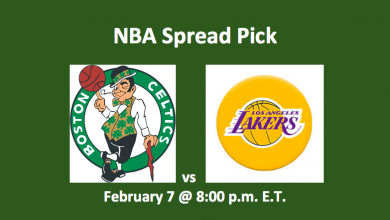 In recent weeks, they’ve become adept at winning games at the last moment. The Chiefs lost last week, 19-17, to Tampa Bay. Prior to that they ran off a string of wins against New Orleans 27-21, Indiana 30-14, Jacksonville 19-14, and Carolina 20-17. 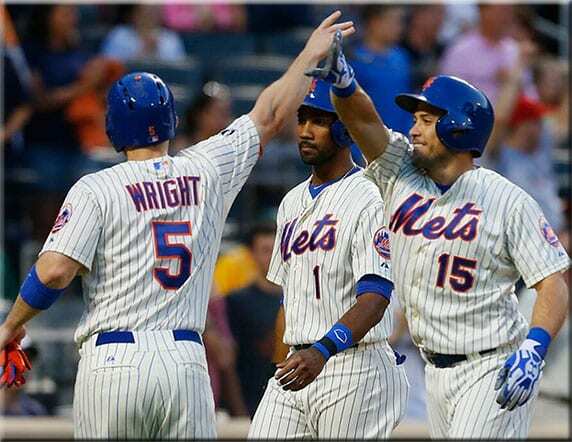 During this winning streak, they also managed to beat Oakland 26-10. Denver is 3-2 for their last five. 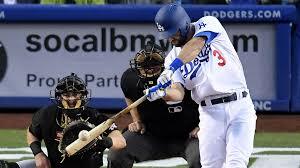 Their two losses were to San Diego 23-13 (Oct 13) and Oakland 30-20 (Nov 6). They beat Houston 27-9, San Diego, the second time around 27-19, and New Orleans, last week, 25-23. The Broncos need this game as much as the Chiefs. Kansas City QB Alex Smith (67.2 COMP%, 9 TDs, 4 INTs, 18 Sacks) has some good outlets. However, he is missing one of his primary receivers, Jeremy Maclin. Maclin is nursing a groin injury. Top receivers are TE Travis Kelce (49 REC, 574 YDs, 11.7 AVG, 3 TDs) and WR Tyreek Hill (36 REC, 376 YDs, 10.4 AVG, 4TDs). These days Spencer Ware (132 ATT, 641 YDs, 4.9 AVG, 2 TDs) is anchoring the KC running game. Despite some decent offensive tools, we expect by the end of the game that Smith and company will wish they had had a more effective frontline. They Chief O-line has allowed 22 sacks and 37 TFL. They are vulnerable. Those stats are a dream for Von Miller and the Denver defense. The Broncos are not the most solid offensive team, but they still pack a wallop on defense. They bring 29 sacks, 10 interceptions, 51 passes defended, and 9 forced fumbles to this game. Every fumble they’ve created has been recovered. Top performers include LB Von Miller (39 TCKLs, 9.5 Sacks, 1 TFL, 2 PD, 1 FF), CB Aqib Talib (3 INT, 11 PD), and safety T.J. Ward (66 TCKLs, 1 INT, 7 PD, 3 FF, 2 FBL REC). Ward is questionable for today’s game, but may play. In the last three games, Denver QB Trevor Siemian (60.1 COMP%, 12 TDs, 7 INTs, 19 Sacks) has tossed four TDs and four INTs. He’ll need to be more accurate in this game, as the Chiefs have a good pass defense. 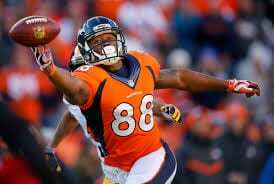 He’ll be looking to find WRs Demaryius Thomas (65 REC, 678 YDs, 12.3 AVG, 5 TDs) and Emmanuel Sanders (54 REC, 668 YDs, 12.4 AVG, 3 TDs). The Chief running game has been pretty productive despite C.J. Anderson being sidelined by an injury. Replacement RB Devontae Booker (104 ATT, 396 YDs, 3.8 AVG, 2 TDs) has played well. The Chiefs’ defense sports some pretty impressive stats that include 13 interceptions, 59 passes defended, and 13 forced fumbles with 10 recoveries. They also have 19 sacks and 31 TFL. The major question is whether or not Chiefs’ DB Marcus Peters (5 INTs, 15 PD, 1 FF, 3 FBL REC) will play. He missed last week’s game, but did practice and is listed as questionable for this one. He’s needed if the Chiefs are going to have a decent chance of winning this game. Another problem is the hamstring injury to LB Dee Ford (32 TCKLs, 10 Sacks, 2 TFL, 2 PD, 1 FF). He’s the club’s leading sacker and is out for this one. These two teams share the same basic stats. 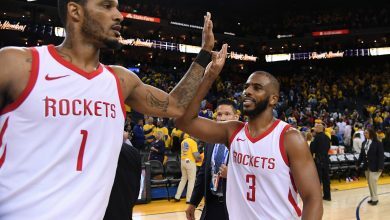 Both are averaging on offense 22-23 PPG and allowing 18-19 PPG. Offensive yards are the same too. It’s on defensive yards where the Broncos are it bit better, and it’s in the area of passing. Kansas City is allowing opponents 264.6 YPG, while Denver is giving up 210.5 YPG. That’s due to the quarterback pressure that the Broncos bring to opponents. Kansas City has just 19 sacks and more than half are by Ford who’s out. That may be enough to tip this game in Denver’s favor. If not, although the Chiefs have a decent secondary, they are hampered by injuries to major players. 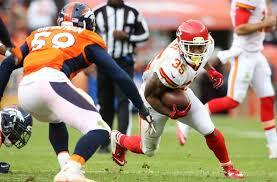 Our Kansas City plays Denver NFL free pick takes the Broncos at -3.5. Kickoff is at 8:30 p.m. ET.